Stephen Tobolowsky (right) with senior Film/Video curator Sheryl Mousely (left) in the Bazinet Plaza after last night’s dialogue. 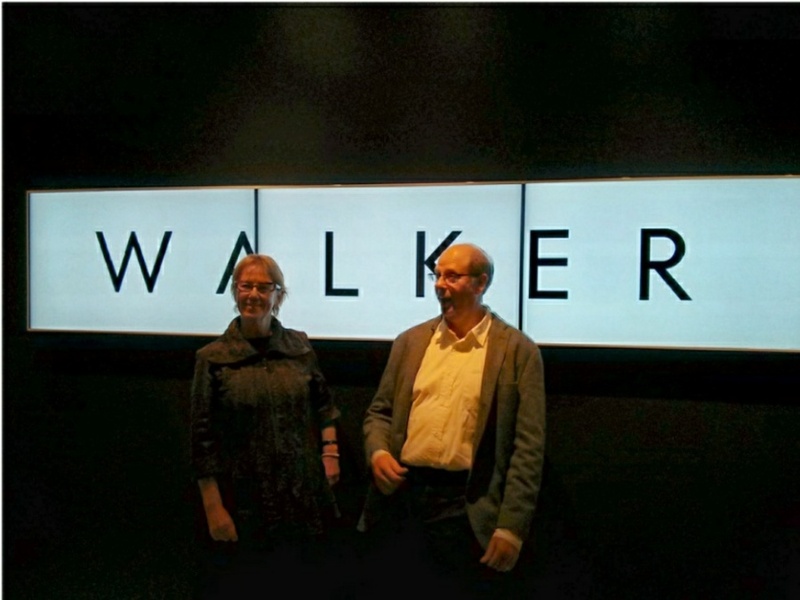 Stephen Tobolowsky visited the Walker yesterday to screen one of his favorite films, David Byrne’s True Stories, which he cowrote with the director and Beth Henley. The tale of a small Texas town celebrating its sesquicentennial pulls its characters from the headlines of tabloids Byrne collected while on tour, and are wonderfully performed by Byrne, John Goodman, Spalding Gray, and Swoozie Kurtz. Following the screening, Tobolowsky discussed his approach to storytelling, a skill he has a significant amount of experience in, both as a screenwriter, and as the host of his autobiographical podcast, The Tobolowsky Files.